JPEG or Joint Photographic Experts Group is one of the most popular image formats used by digital cameras, other photo capturing devices. It is also commonly used to store and transmit photographic images on the internet. JPEG files have a file extension of .jpg or .jpeg. JPEG is a bitmap compression format, most commonly used for lossy compression, with compression ratios ranging from 10:1 to 20:1. This compression ratio can be modified, meaning you can adjust your own balance between storage size and quality. Like ZIP files use redundancies in files to achieve compression, JPEG does it by removing blocks of pixels or sections of images, thereby reducing overall image quality. Editing and re-saving the image multiple times also hampers the image quality. One workaround is to work with RAW JPEGs, determine all your edits, and then save the final version, without saving your file multiple times. Due to compression, JPEG files take up only a few megabytes of space. Due to its smaller size, websites use .jpeg images in their pages. 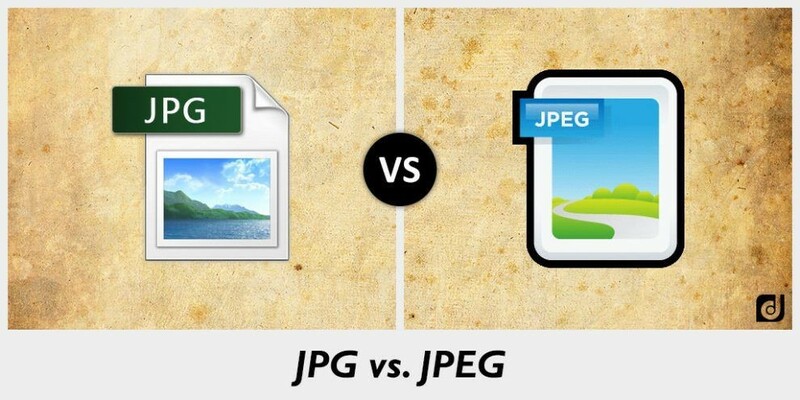 The only difference between JPEG and JPG, if at all, you can call it that is the number of characters used. JPG still exists because earlier versions of Windows/DOS systems required a three letter extension for file names. Hence, .jpeg was shortened to .jpg. Now, Windows supports extension with four characters. Hence, you can open .jpeg files on Windows. Unix and Mac systems did not have this limitation of characters. They continued to use the .jpeg format. Your photo-editing applications like Adobe Photoshop, Gimp save JPEGs to the .jpg extension. You have the liberty to change the file extension both ways and the file continues to work. Unlike JPEG, JPG preserves the image quality of the file with less data redundancy after compression. Hence, JPG files take up more space. As JPG files also use lossy compression algorithm, image quality deteriorates with the decrease in file size. Additional Info: While editing or while performing any task on your PC or Mac, if your JPG or JPEG files get deleted or lost permanently, then you can use Remo Recover software to restore deleted JPG files on all Windows (including the latest Windows 10, and earlier versions), and macOS (including the latest macOS High Sierra, Sierra, and earlier versions too). The software recovers JPEG and JPG files along with other media file formats including BMP, GIF, TIFF, RAW, NEF, CRW, CR2, PNG, DNG, and much more in a hassle-free way. The trial version of the software is available for free download. Should You Convert Lossy Images into Lossless Format? Here’s a guide on when to use JPEG, GIF & PNG files.